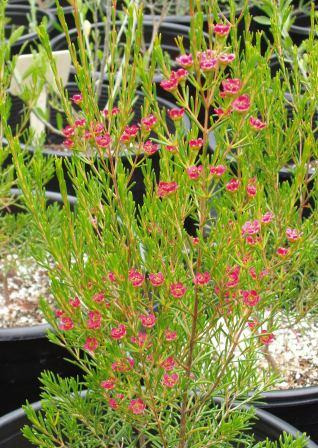 Very attractive wax flower that can be grown as a shrub or small tree (to 9'). The white flowers appear in spring and age to red as the spring progresses. Beautiful long lasting cut flower. 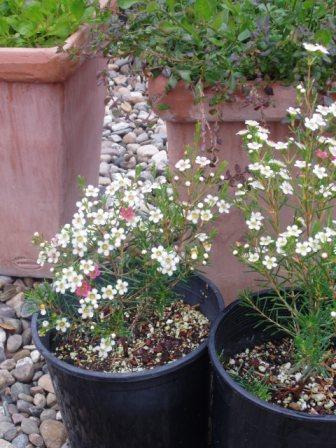 Useful for any garden type as long as the soil is well-drained. Best grown in full sun or plant reaches out for the light. Frost tolerant to 25F at the nursery. Highly recommended.